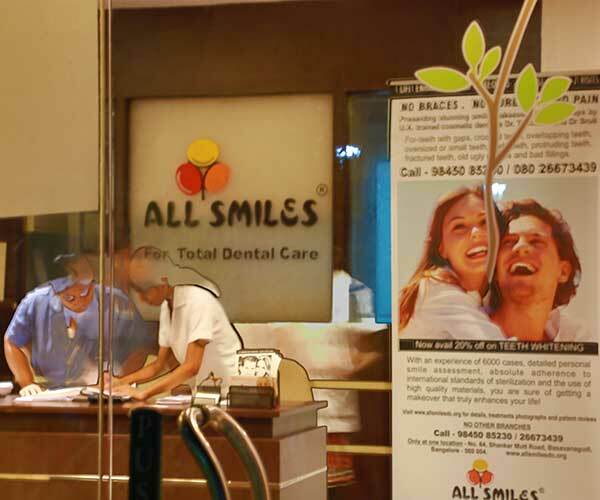 Is Allsmiles The Right Place For You? 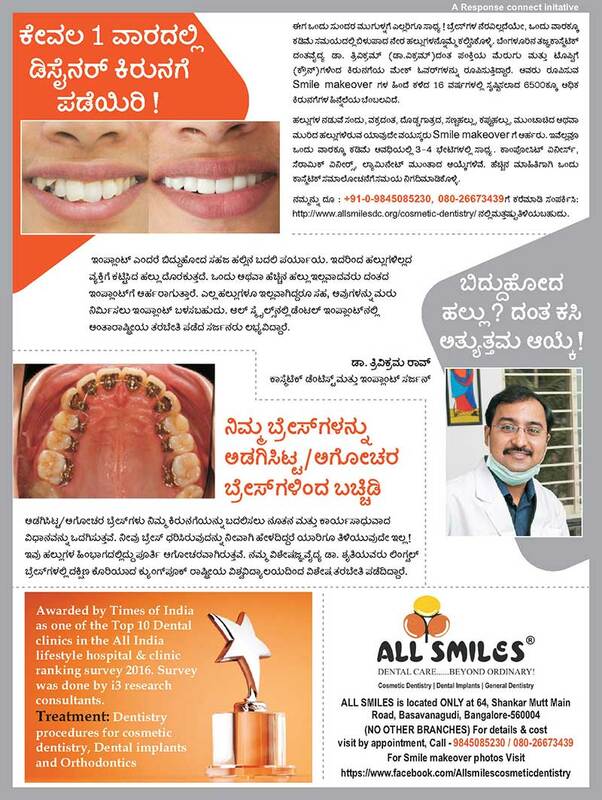 How Important Is A Good Smile! 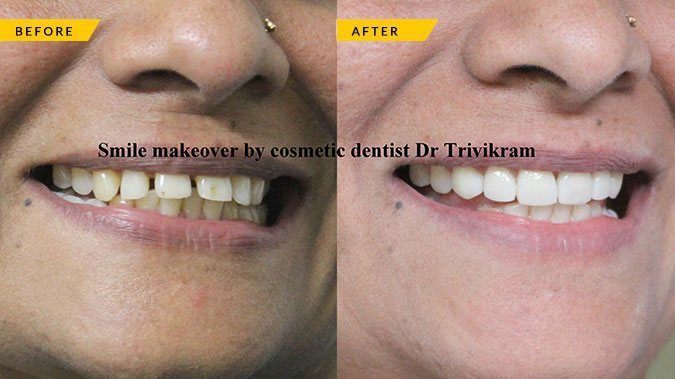 Tired Of Loose Dentures ? 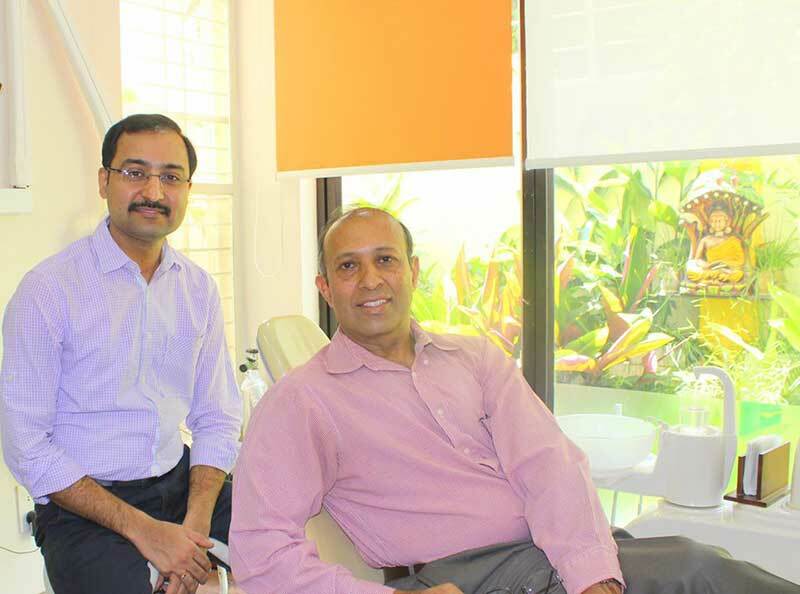 Why Us For Root Canals? 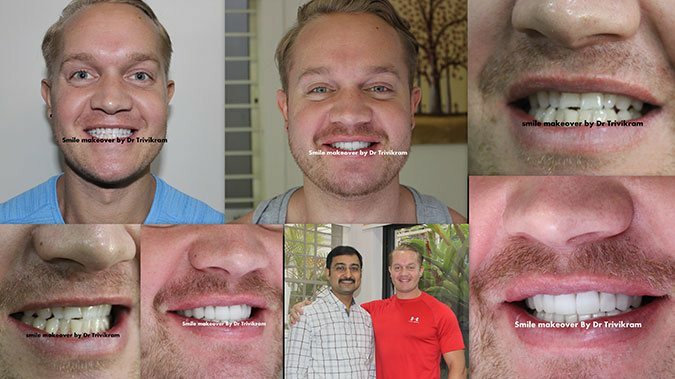 I am extremely happy with the ceramic veneers I got by the cosmetic dentist Dr Vikram. 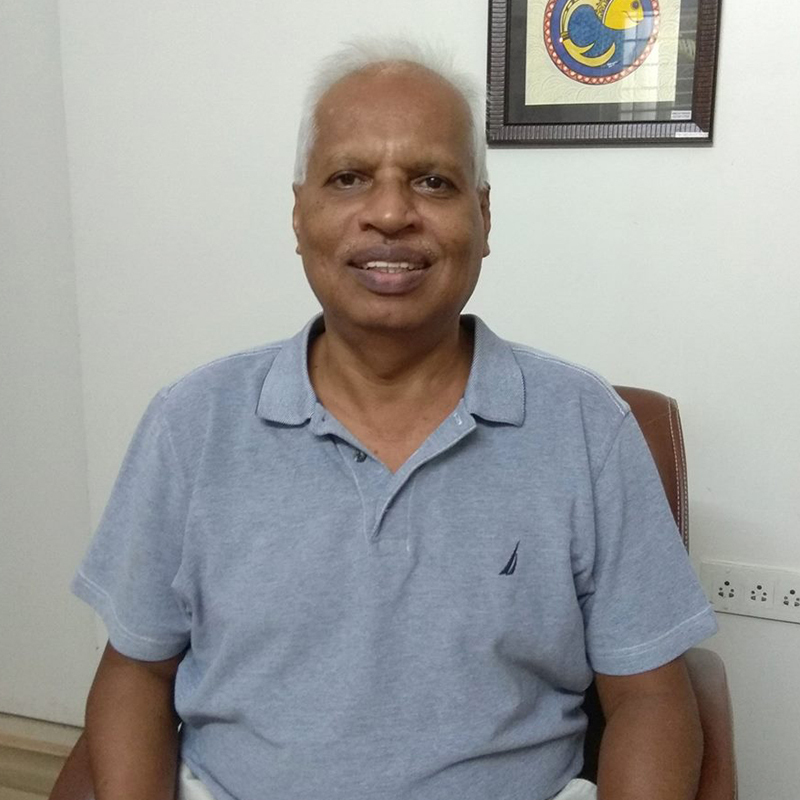 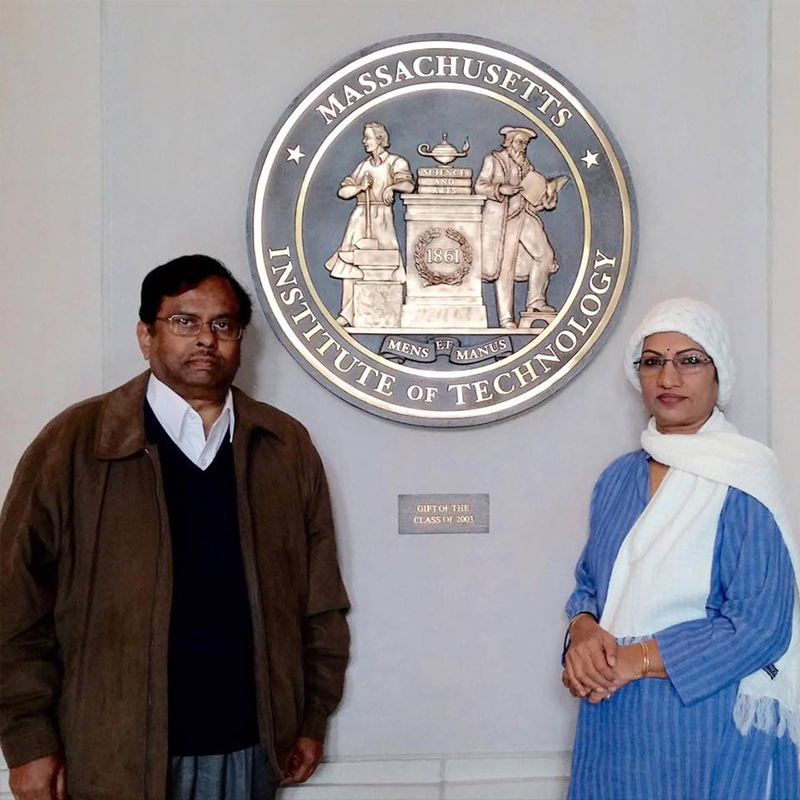 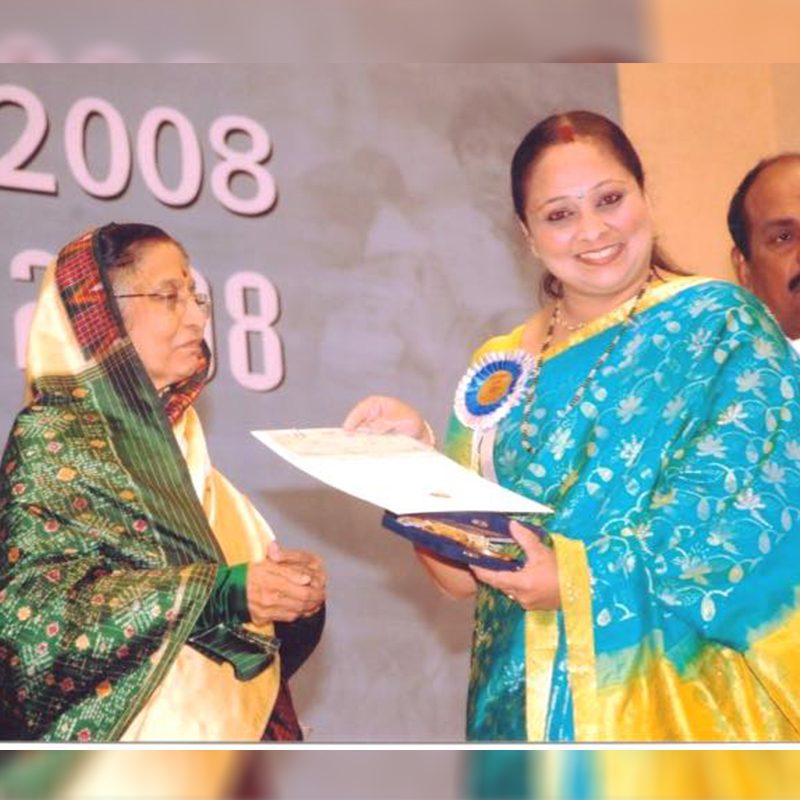 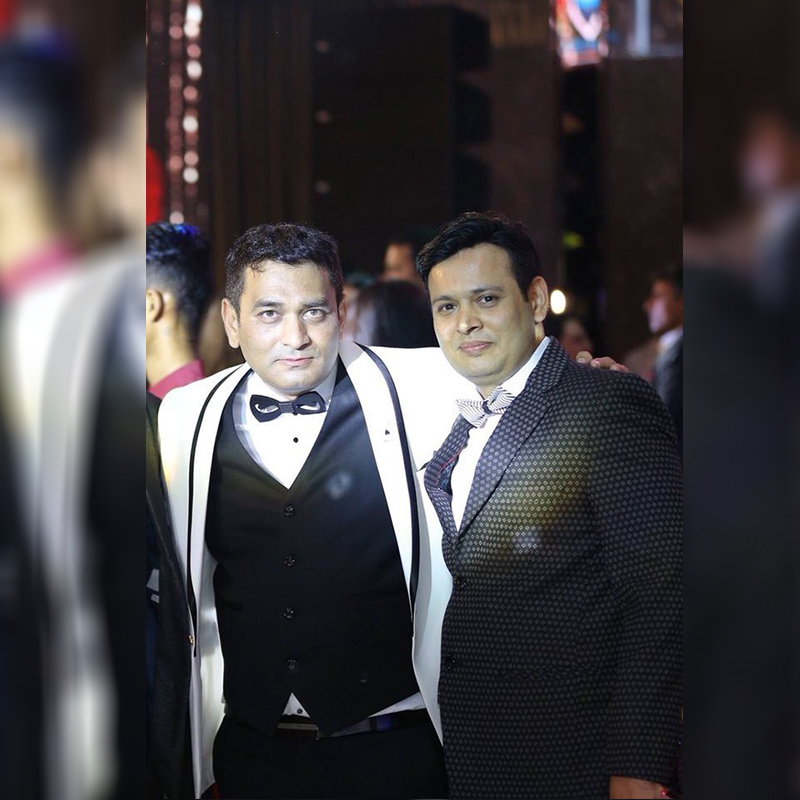 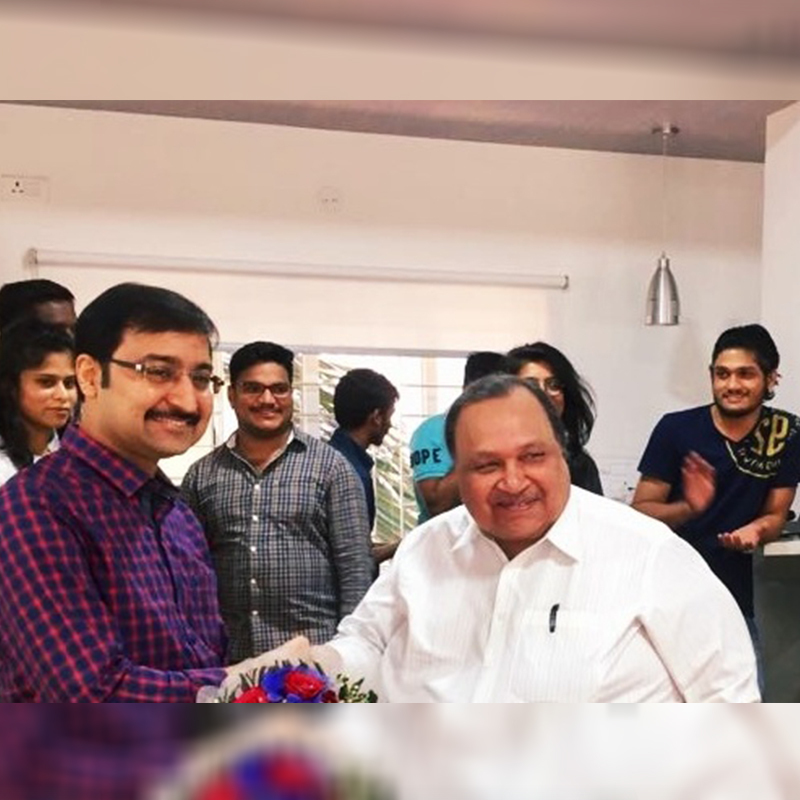 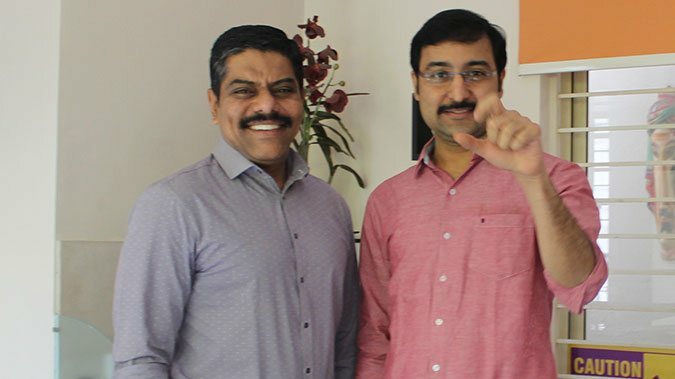 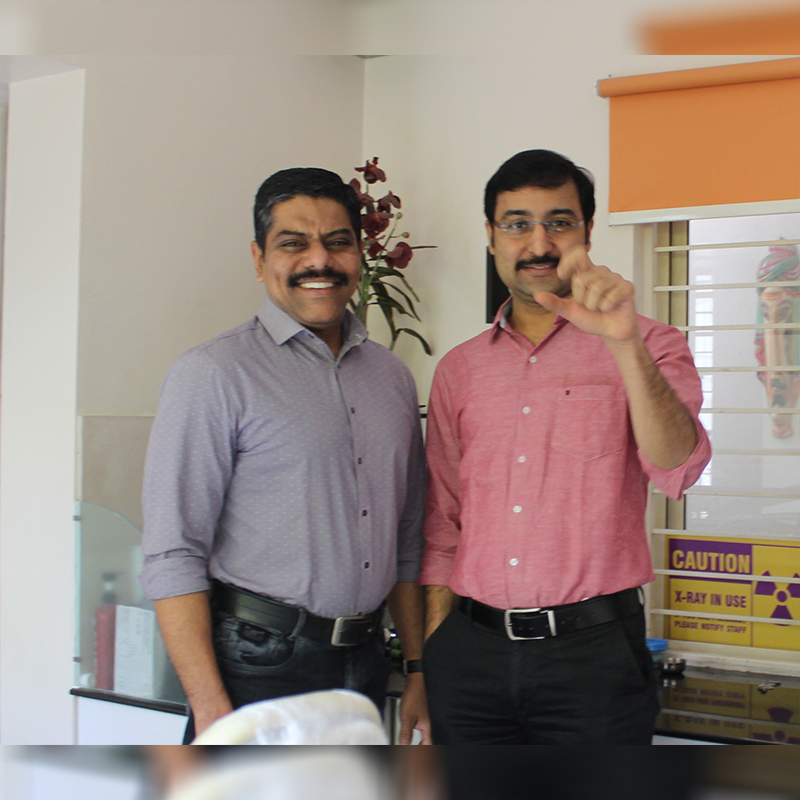 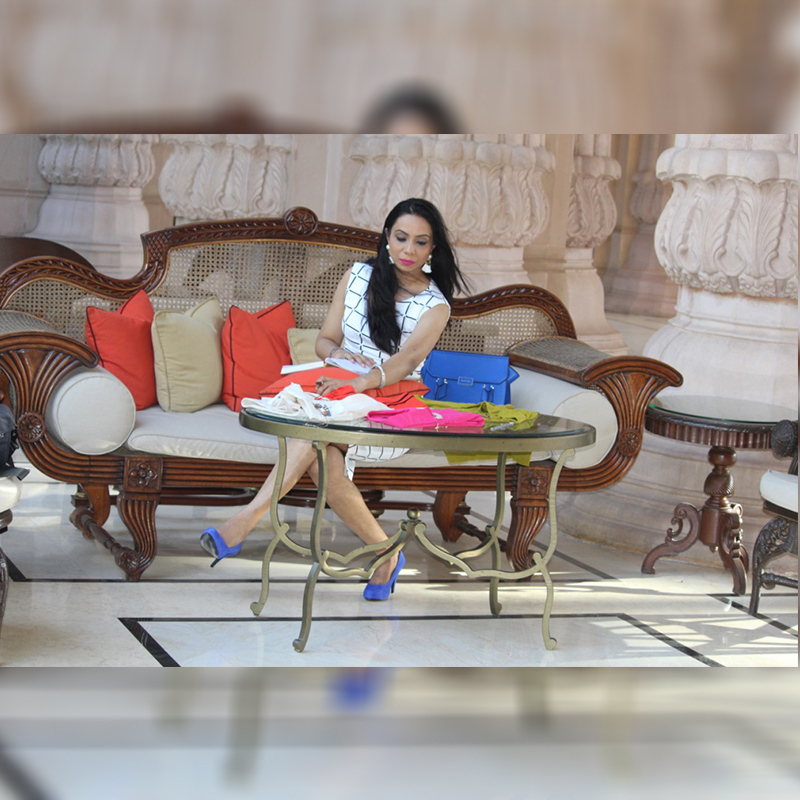 Initially , I was concerned but after meeting Dr Vikram in person , I felt very confident , he explained the procedure in detail and made me very comfortable. 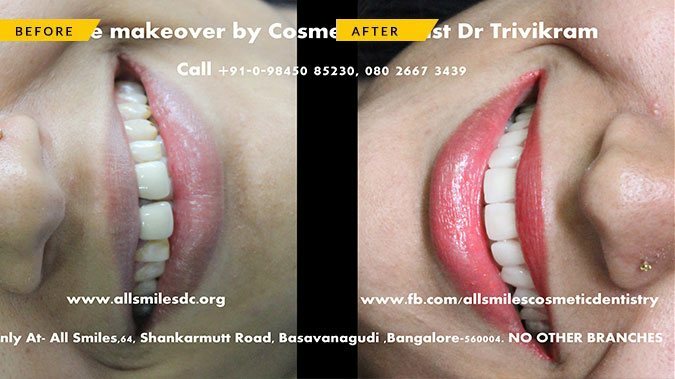 The end result of the treatment is also excellent , I would definitely recommend All smiles to others who want to get a smile makeover. 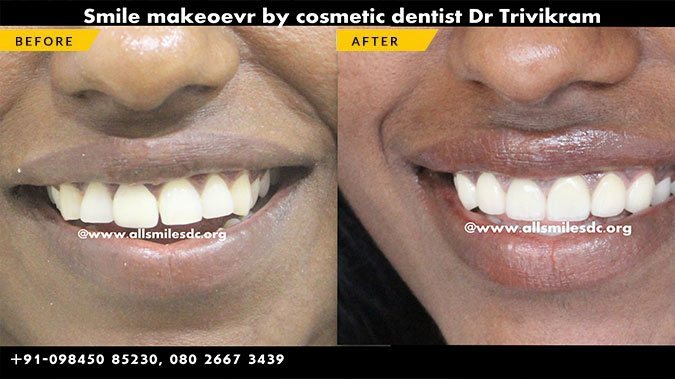 I did a lot of research on cosmetic dentistry where I would feel safe to get the smile make over done. 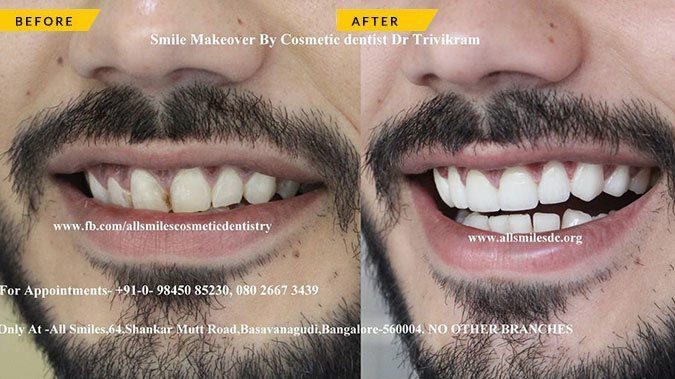 Finally I found the best cosmetic dentist Dr Vikram here. 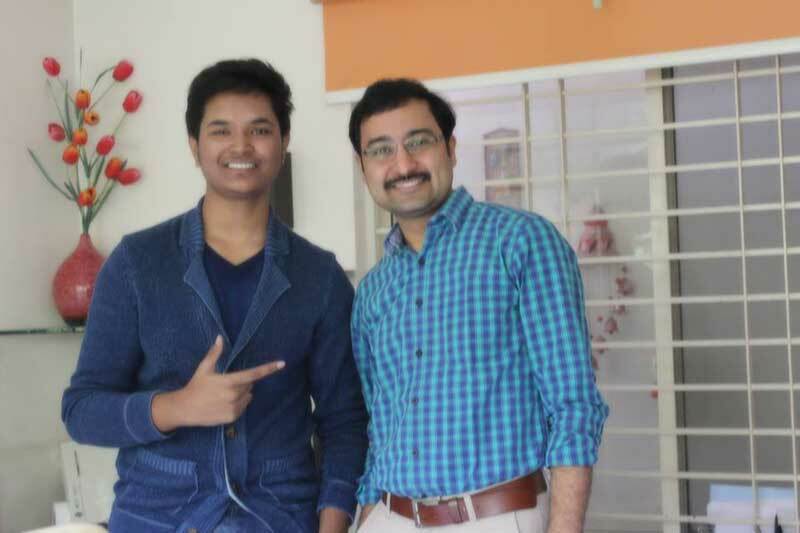 I did lot of home work before coming here and trust me I am glad I chose to come here. 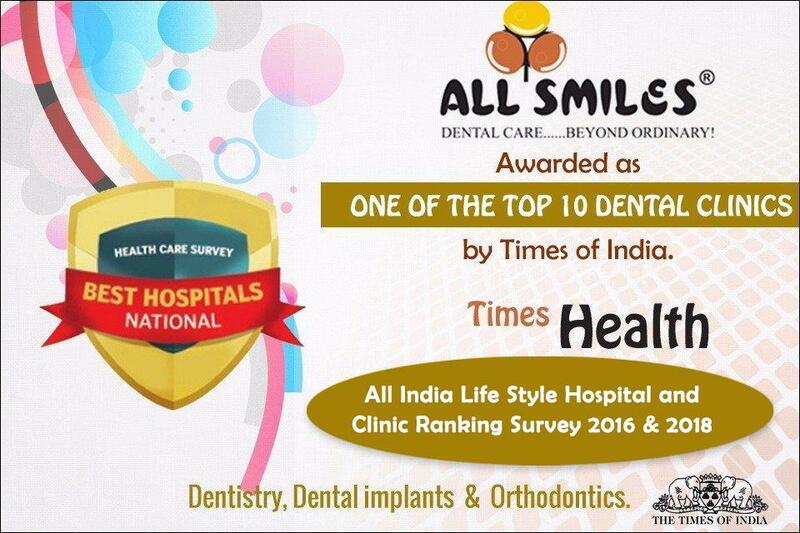 I am happy and smiling ear to ear. 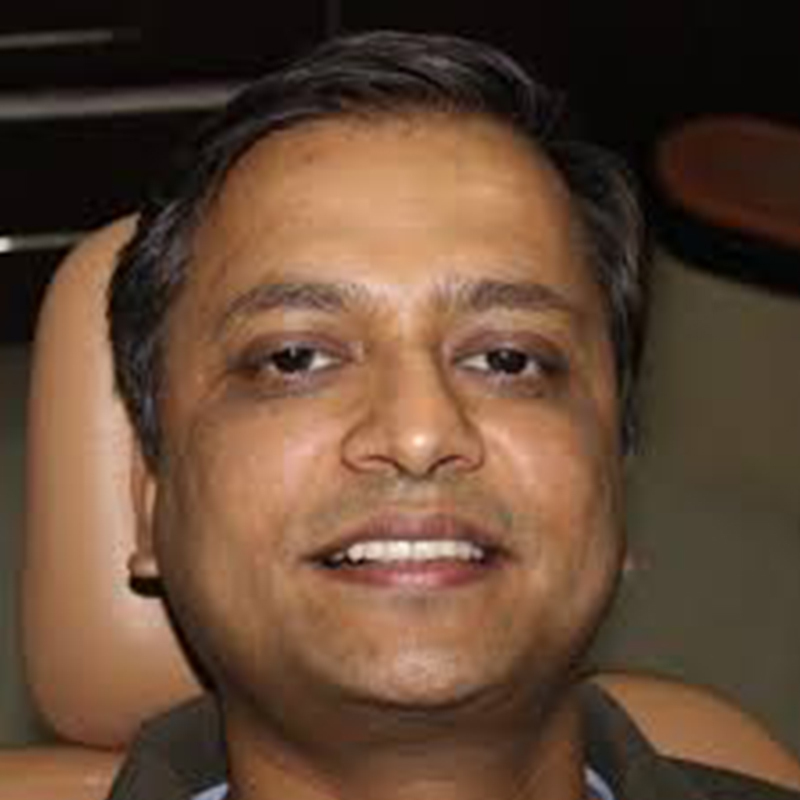 Cosmetic dentist Dr.Vikram is very professional , honest and totally trust worthy. 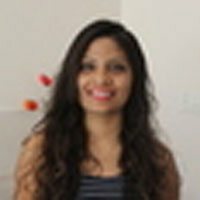 I am gonna recommend to everyone. 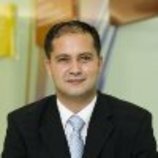 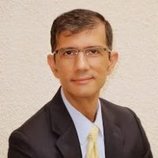 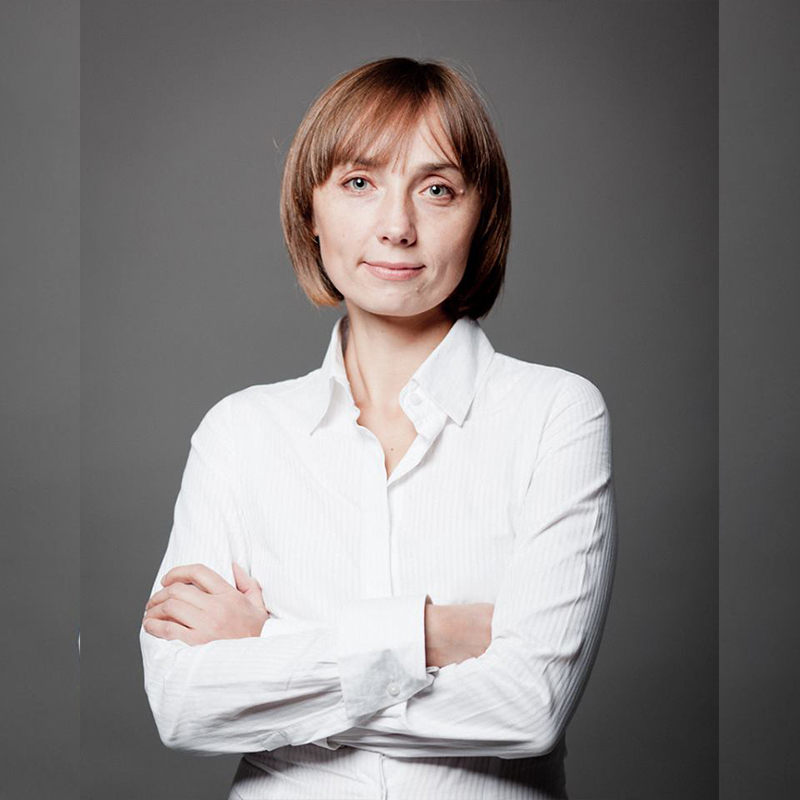 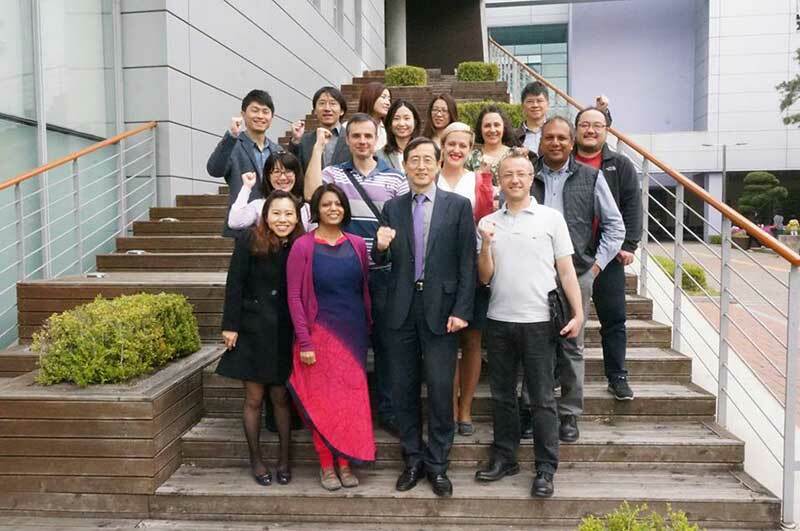 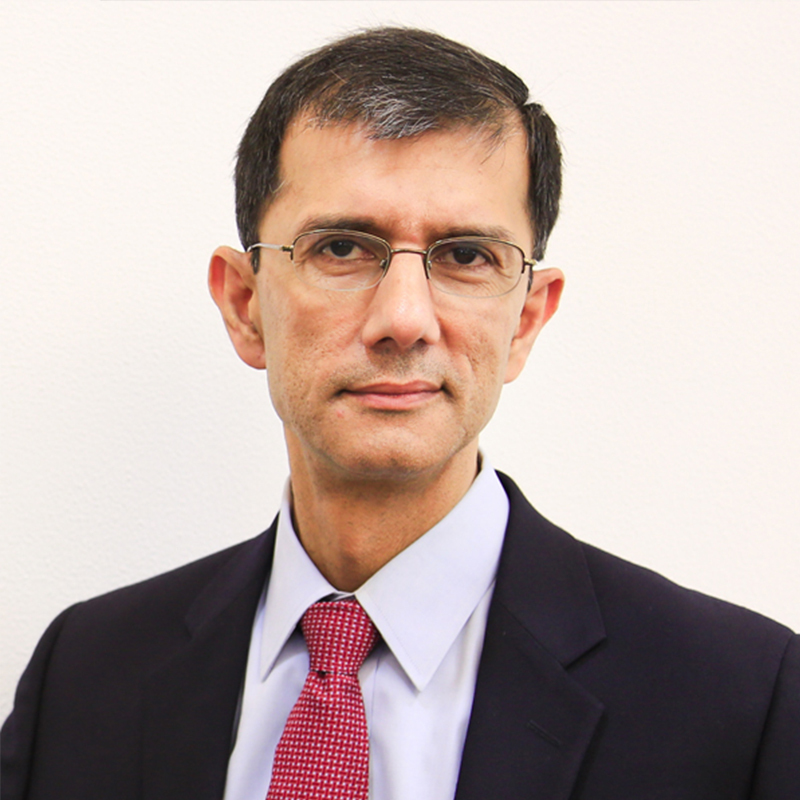 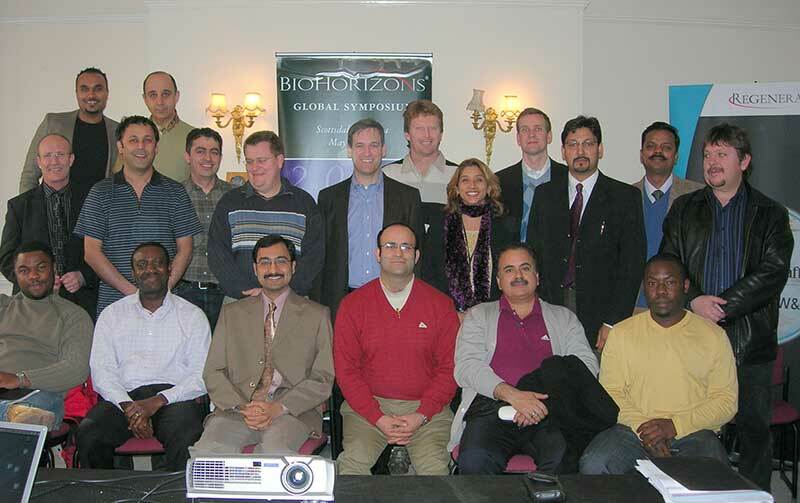 Global Head at Nokia Siemens Networks,U.A.E. 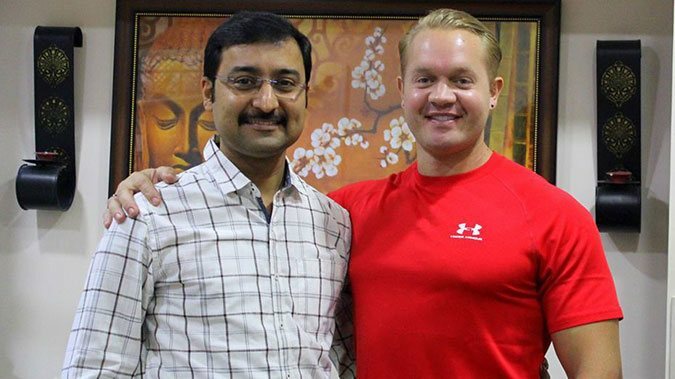 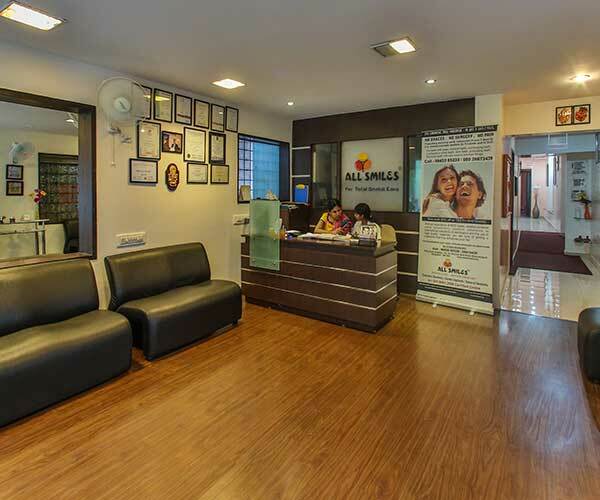 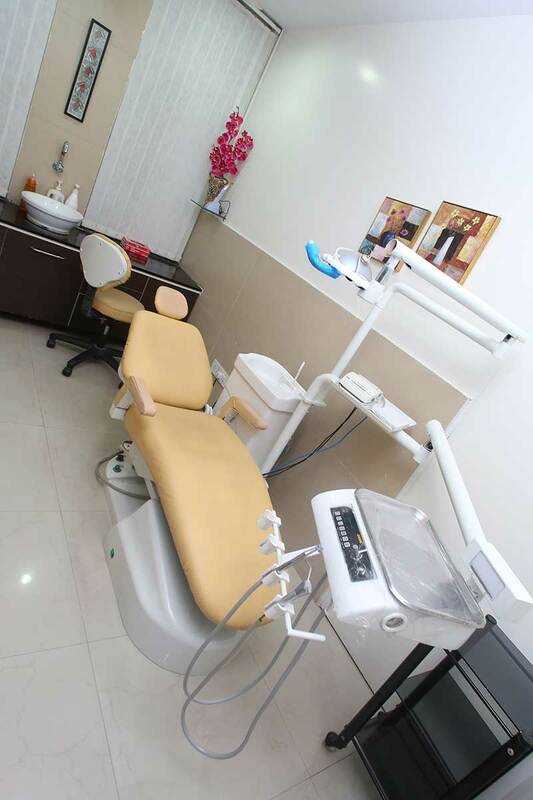 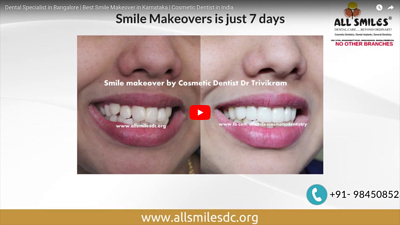 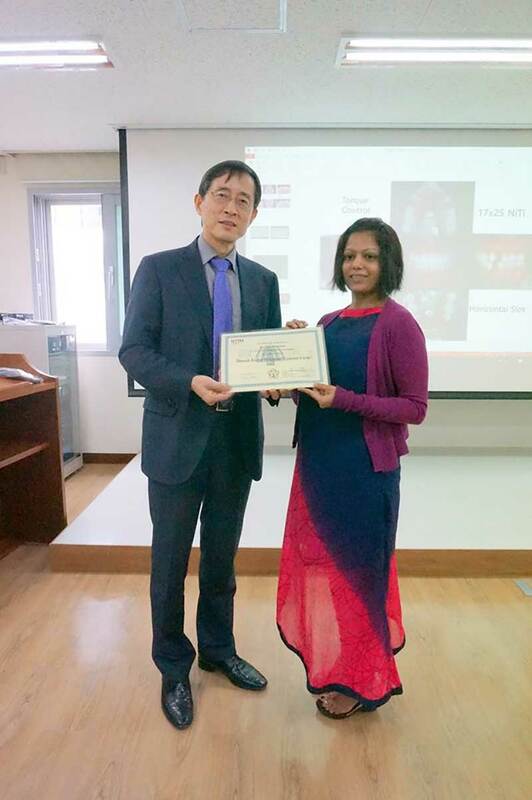 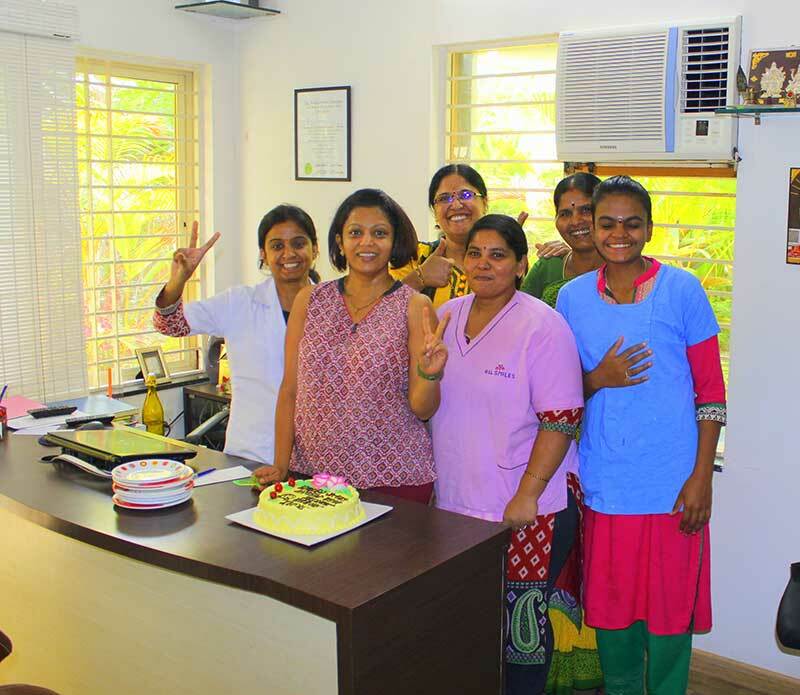 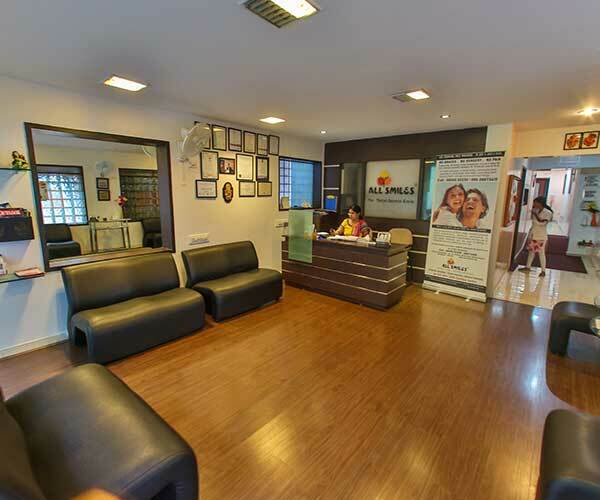 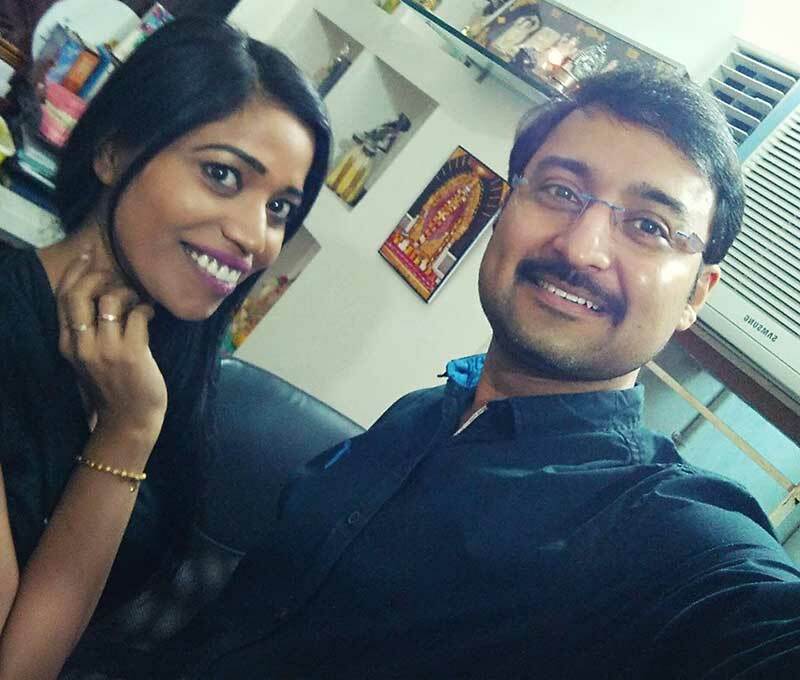 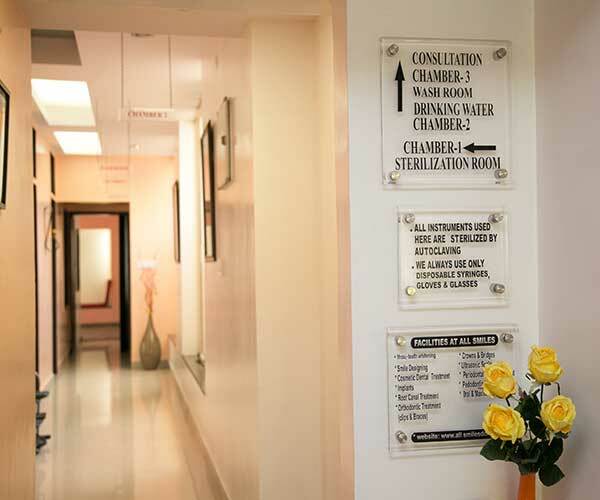 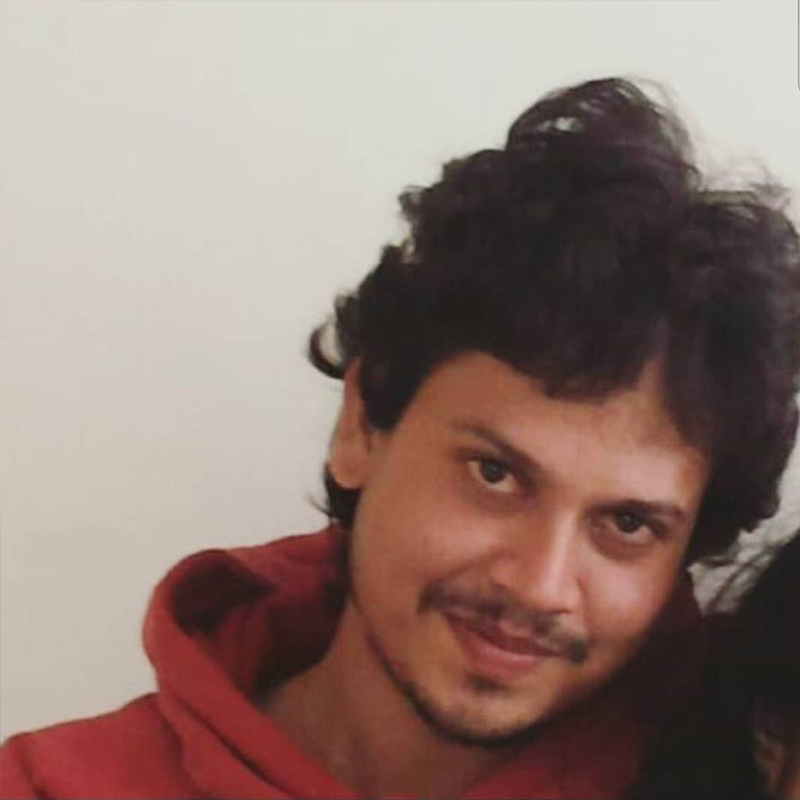 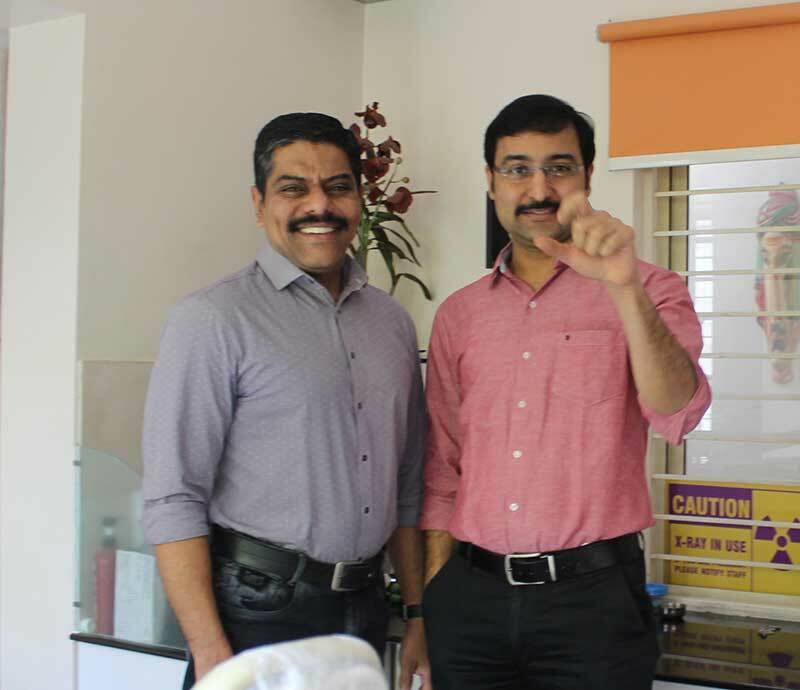 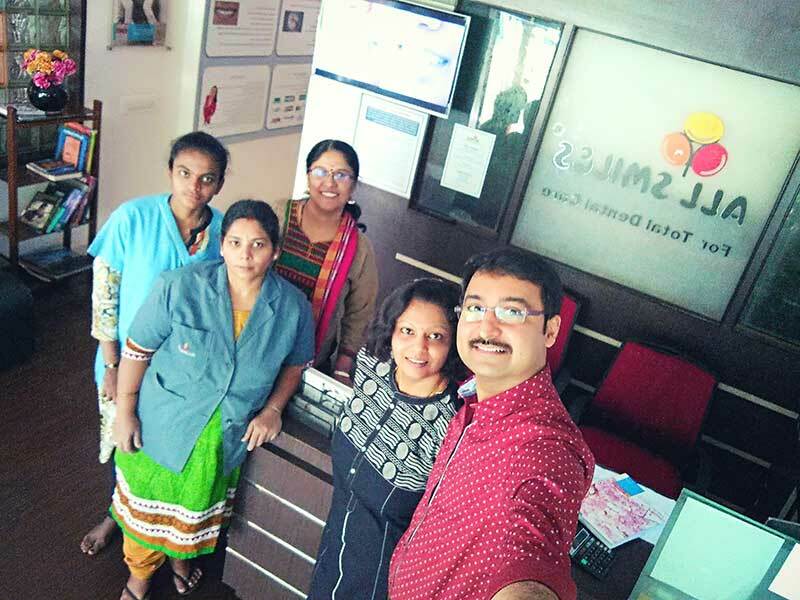 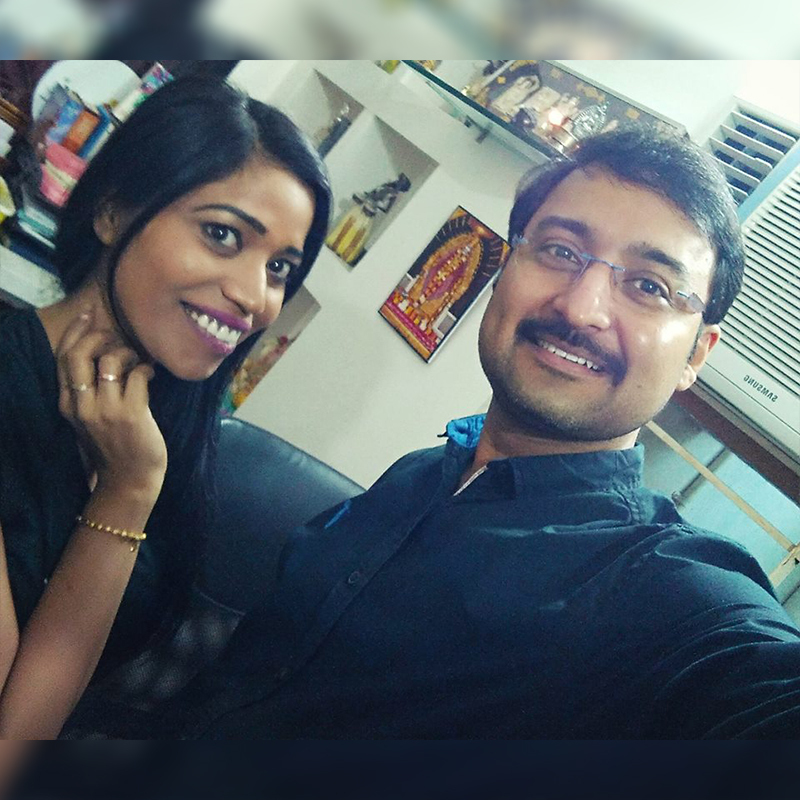 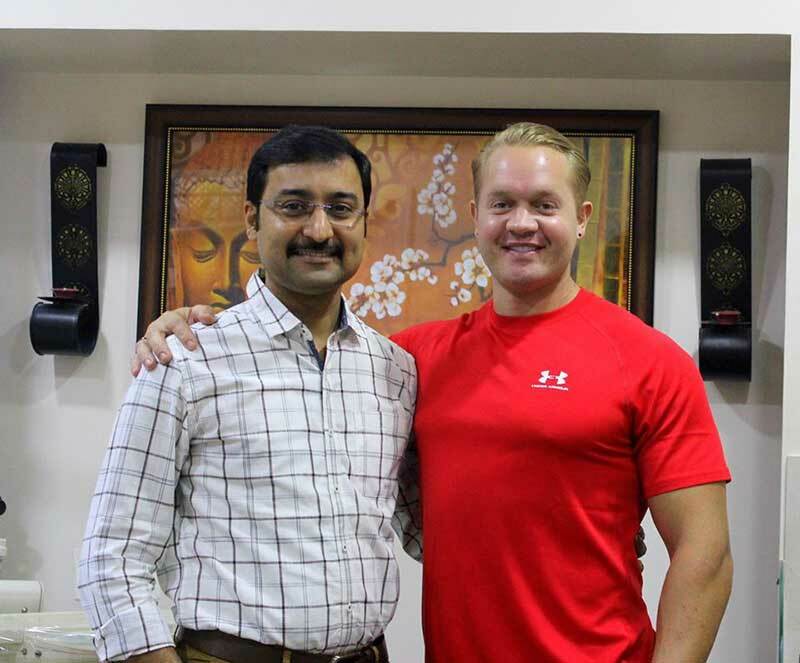 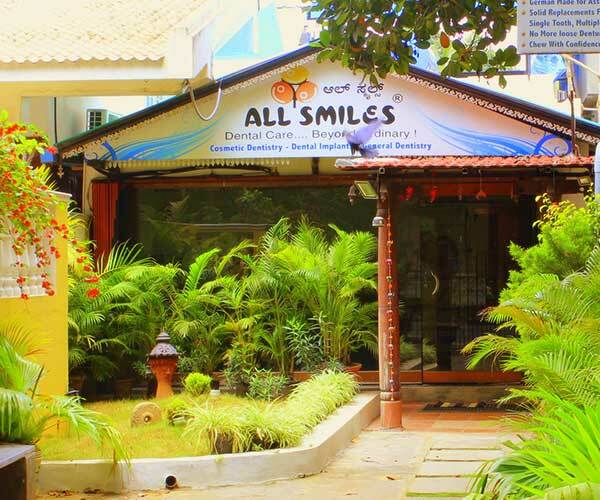 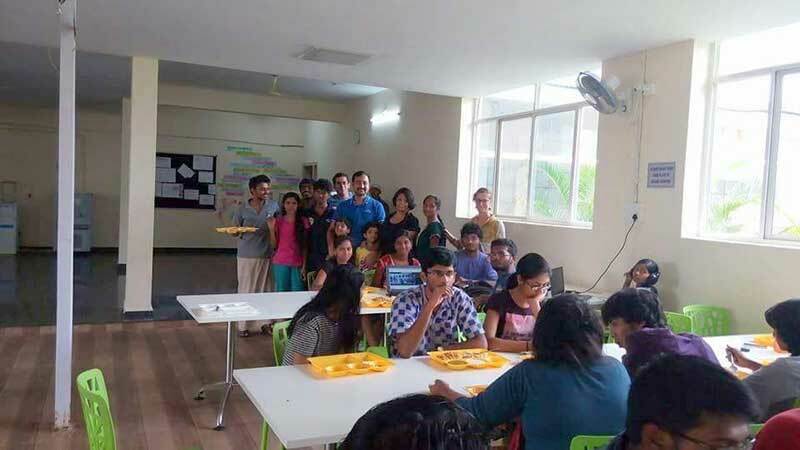 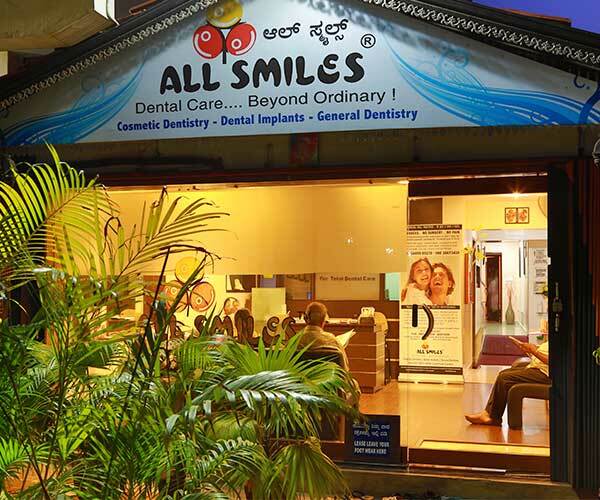 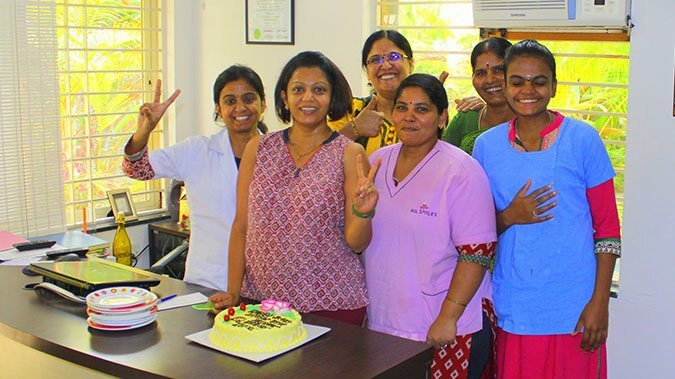 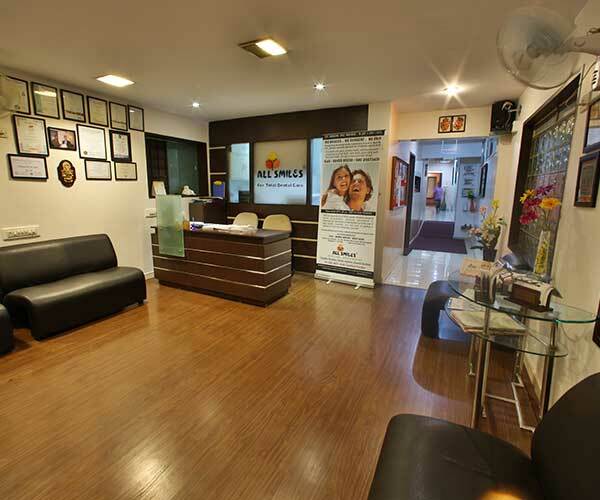 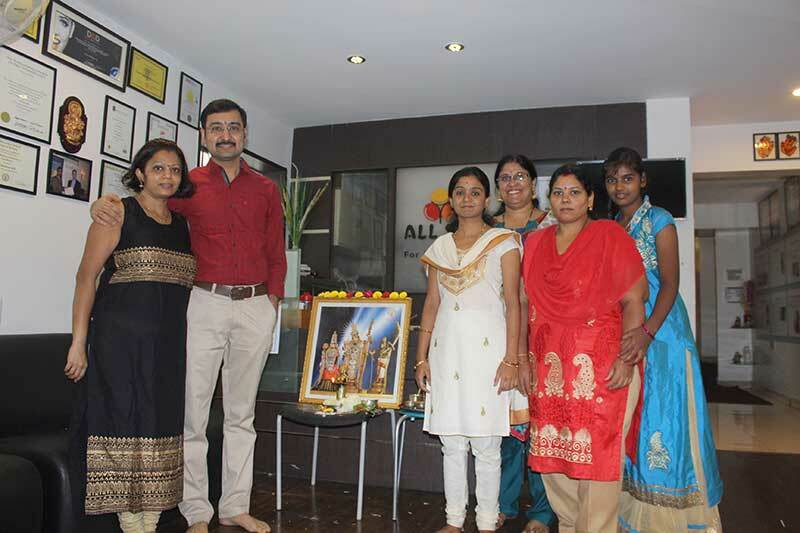 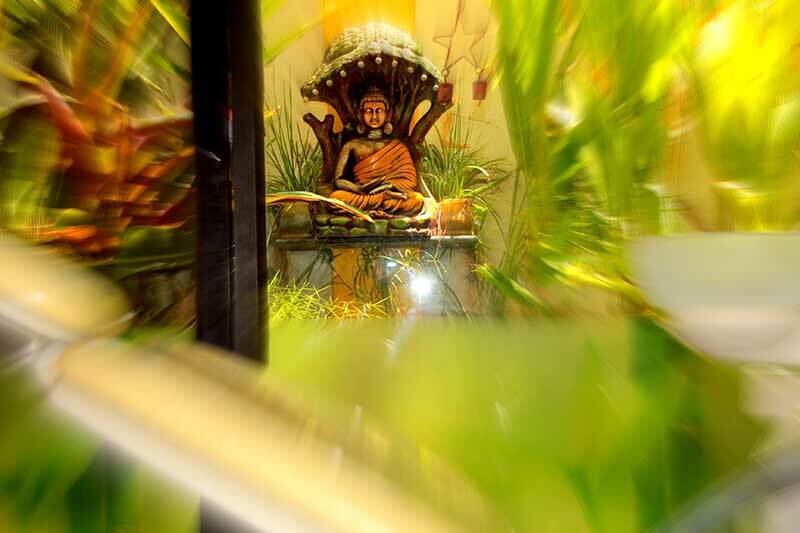 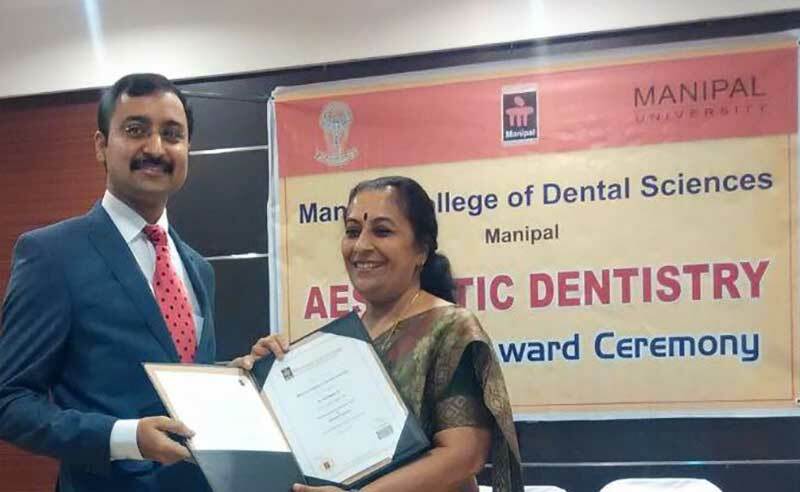 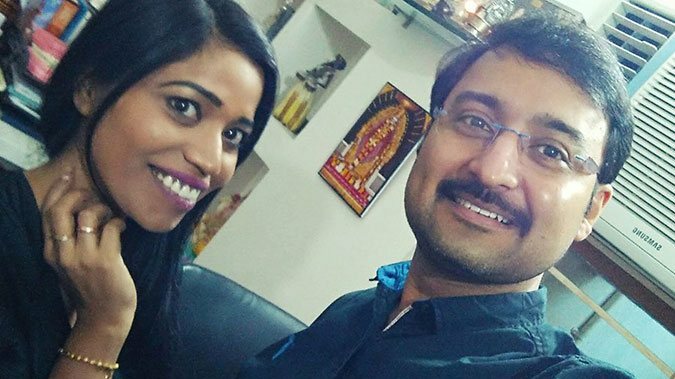 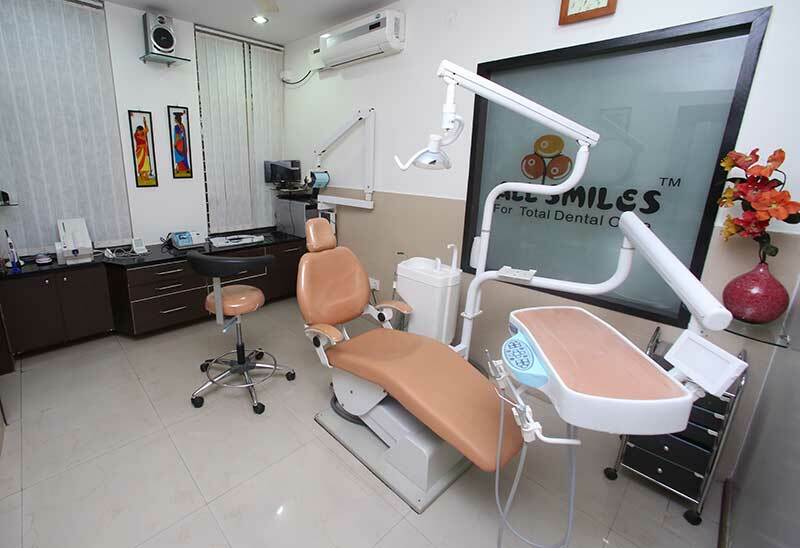 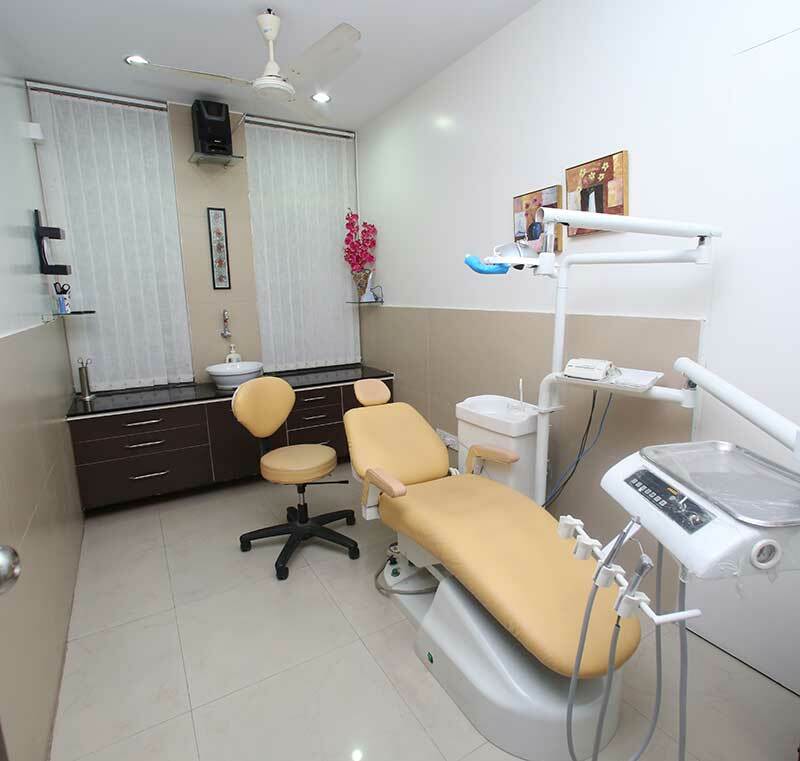 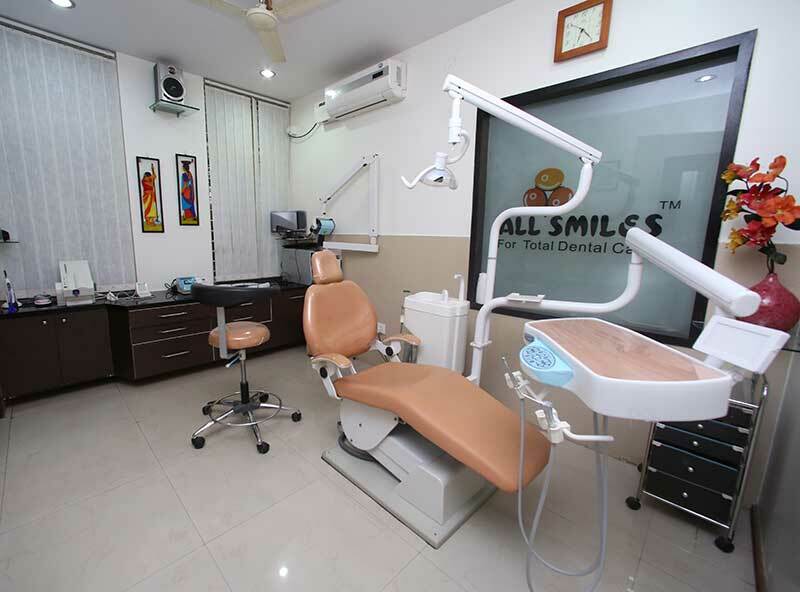 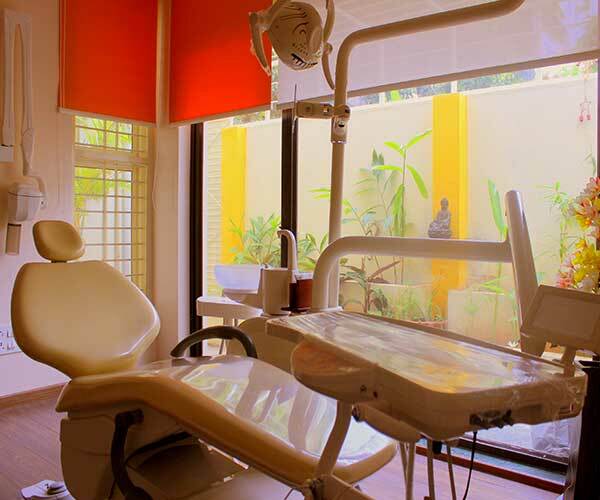 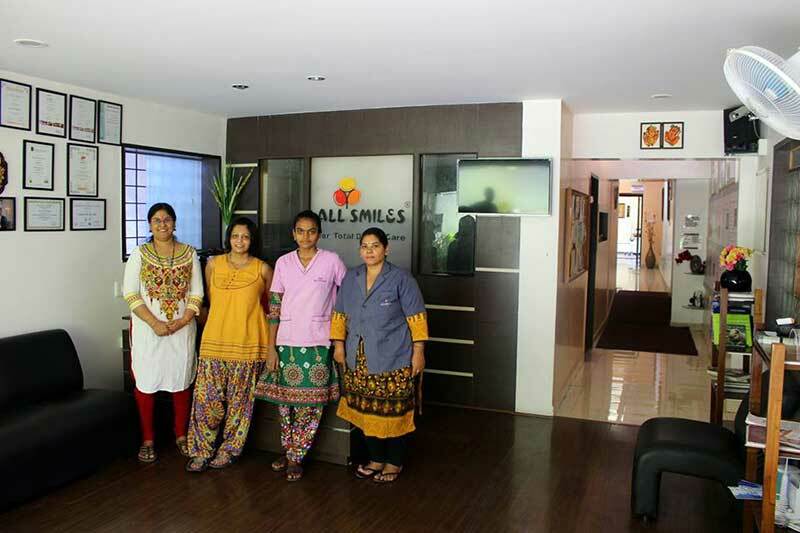 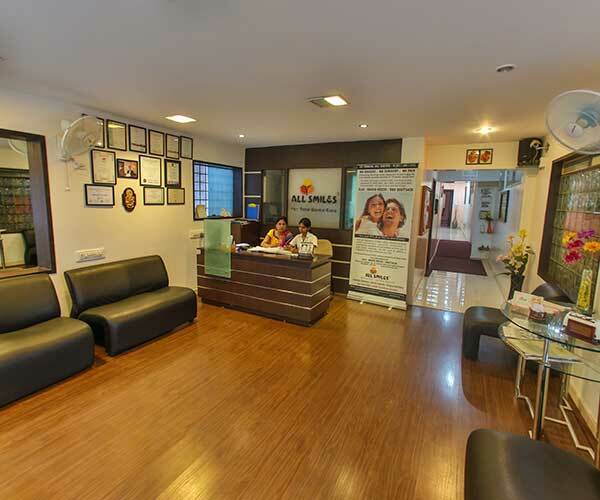 I have had a series of treatments in All Smiles dental clinic in Bangalore while I was living there and also for 2 years after I relocated out of India. 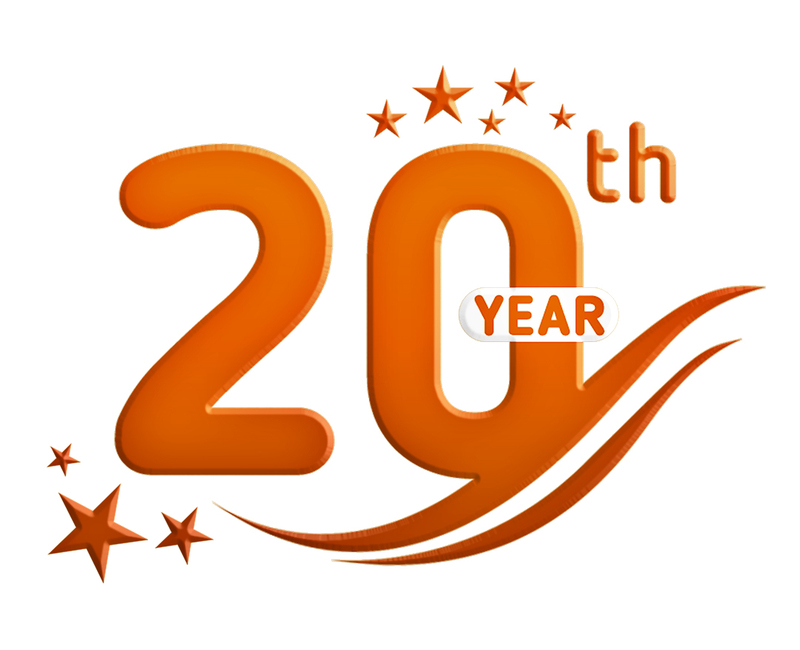 It has been an outstanding experience. 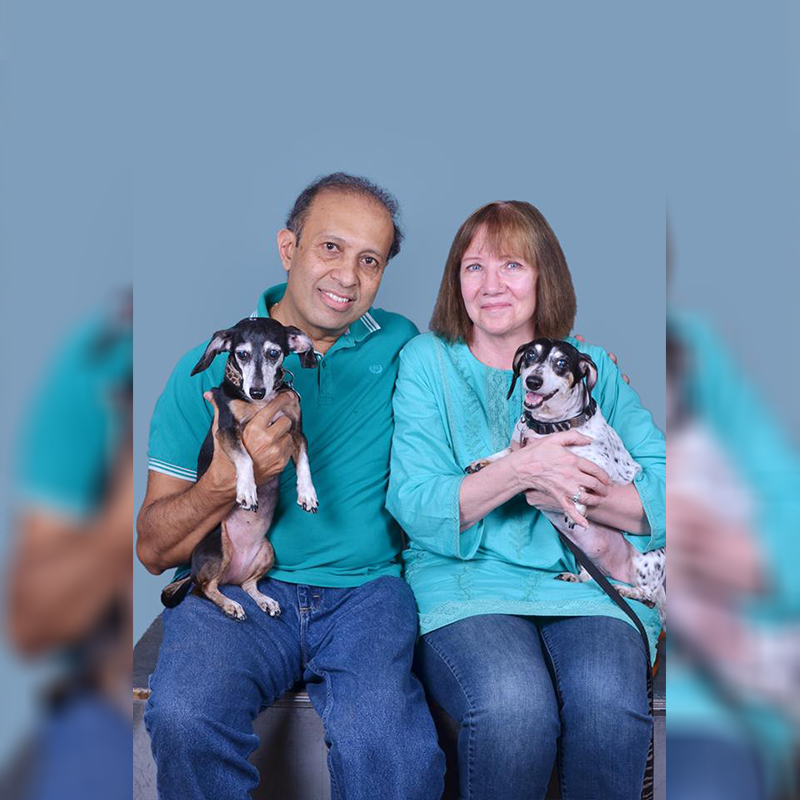 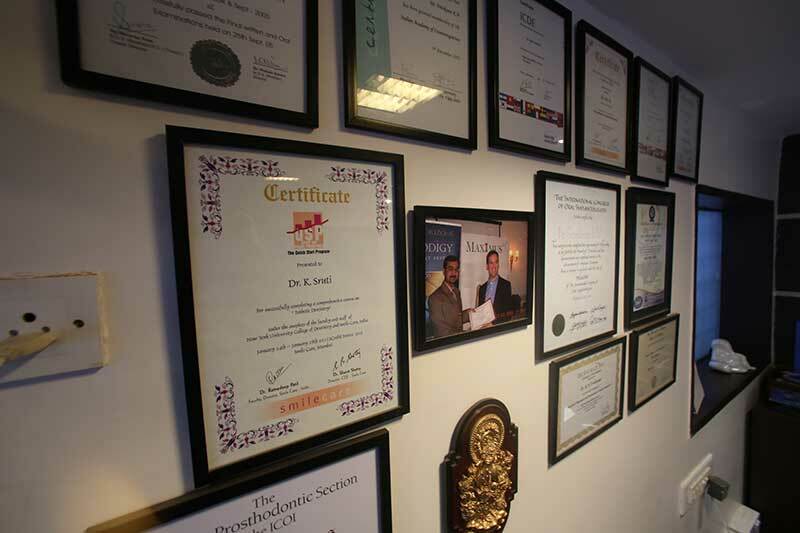 Dr. Trivikram and his team are consummate professionals: very knowledgeable, precise with their advise, meticulous in the treatments, punctual, and highly reliable. 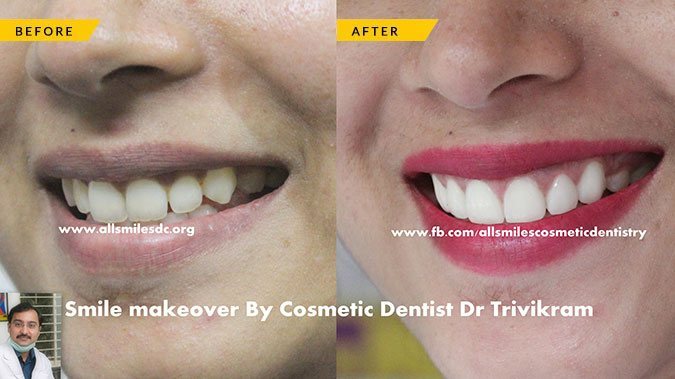 I did a lot of research on cosmetic dentistry where I would feel safe to get the smile make over done. 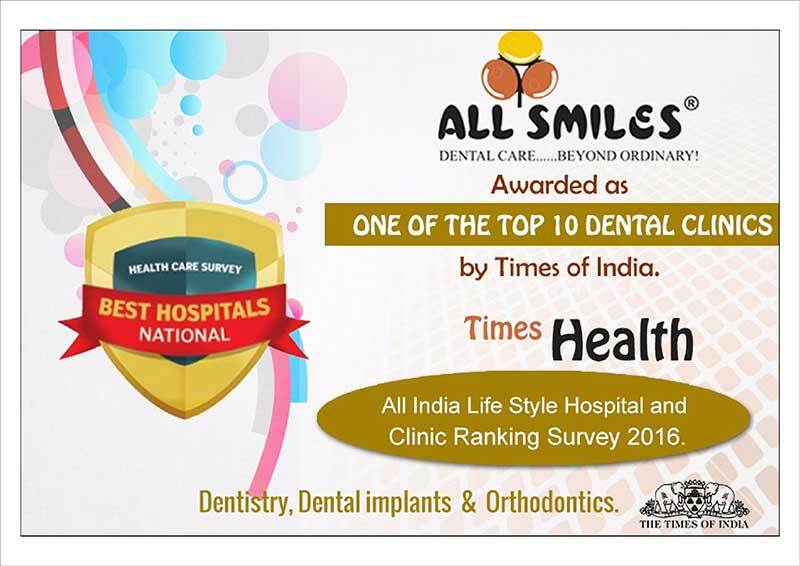 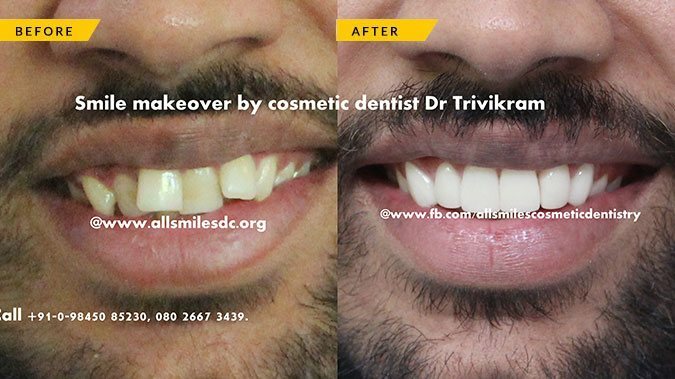 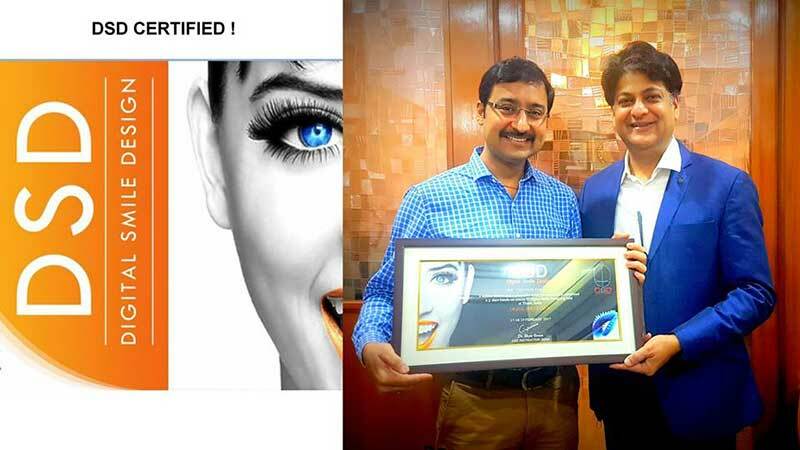 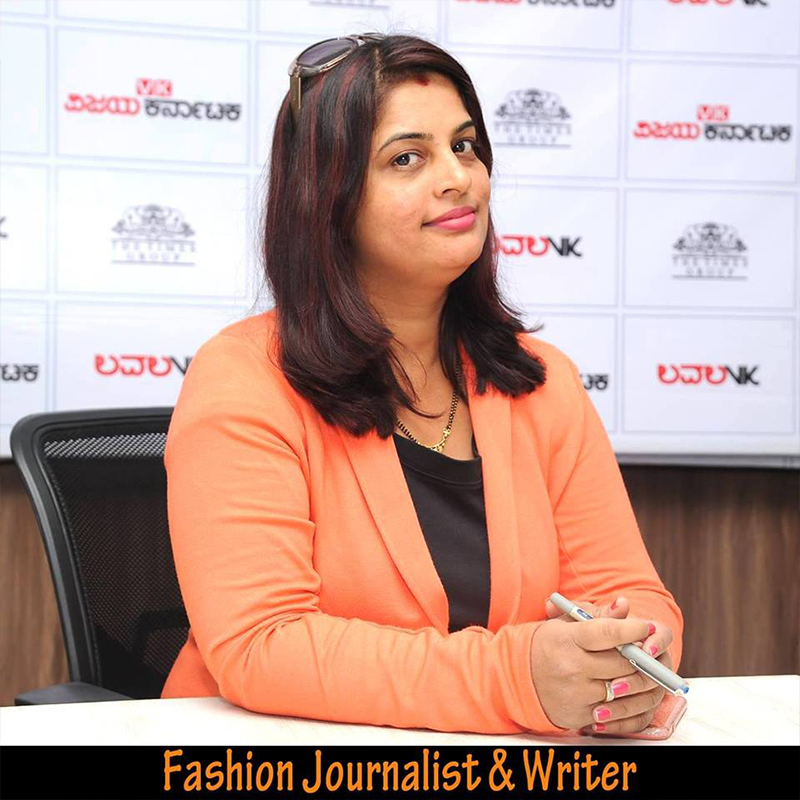 All Smiles is a trademark owned by Dr Trivikram and Dr Sruti. 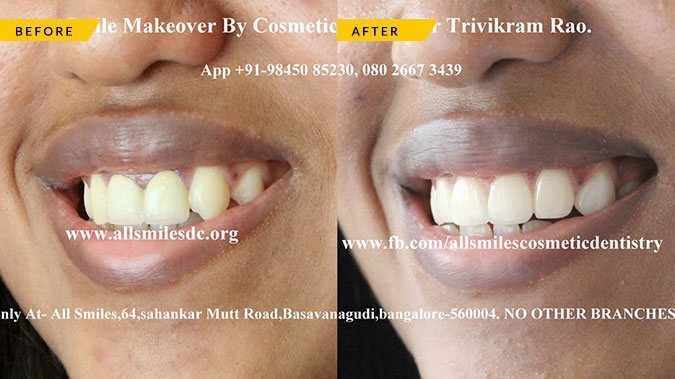 Any unauthorised use of the trade mark All Smiles is a legal offence.